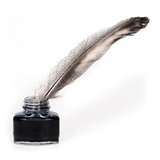 Writers inspired by desire for revenue or personal fulfillment are encouraged to attend “Magic Steps to Writing Success” presented by the Heartland Fountain Project. Successful author Charles W. Sasser will relate his steps from being the son of an illiterate farm worker to a prolific writer of more than 50 books and 3,000 magazine articles. The Heartland Fountain Project is comprised of a group of Oklahoma writers seeking to encourage and mentor other Oklahoma writers. The group is compiling an anthology, Oklahoma: The Fountain of the Heartland. Information about the project will be discussed at the meeting. Writers of all skill levels are welcome to attend from 1-3 p.m. on May 14th at the Edmond Public Library. The website address is http://oklahomaheartland.com . Charles W. Sasser has been a full-time freelance writer, journalist, and photographer since 1979. He is a veteran of both the US Navy (journalist) and US Army (Special Forces, the Green Berets). He also served as a police officer in Miami, Florida, and as a homicide detective in Tulsa, Oklahoma. He has taught at universities, lectured nationwide, and traveled extensively throughout the world. As an adventurer, Sasser has, at various times: canoed solo across the Yukon, sailed the Caribbean, biked across the continent, rode camels in the Egyptian desert, floated the Amazon River, dived for pirate treasure, climbed Mount Rainier, and ran with the bulls in Spain. Sasser has recently returned from dog sledding and polar bear chasing in the Arctic. For more information about the anthology or Charles Sasser’s presentation, contact Donna Le at DKLE45@yahoo.com . More about Charles Sasser and his works can be found at http://www.charlessasser.com/biography.cfm .